Please help me welcome back Terri Talley Venters with her new release, Silver Lining. But first, read about her other books. DO NOT READ THE FOLLOWING BOOK BLURB UNTIL YOU'VE READ CARBON COPY! In the sequel to Carbon Copy, Lilly Allen returns to her hometown of Charleston, South Carolina, to be closer to her mother, help with her injured brother, and heal from the disappearance of her fiancé Grier Garrison. While she awaits Grier’s return, she busies herself with her mansion renovations, her best friend’s wedding, and her job as a news reporter. But even her busy schedule cannot stem the worry over her brother’s persistent amnesia and changes in personality. Is he her real twin? Or did they rescue a clone? 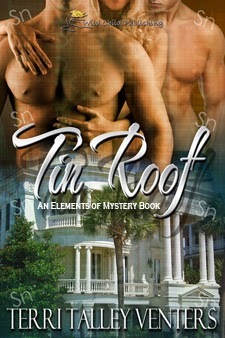 DO NOT READ THE FOLLOWING BOOK BLURB UNTIL YOU'VE READ CARBON COPY AND TIN ROOF! What if someone cloned you? And then abducted you twenty five years later? In Luke’s Lithium, handsome Luke Allen, a witty, yet shy trust brat, volunteers at the FDNY with his firefighting comrades. Luke has it all, except for love. Abducted by Create Life Technologies, along with 5000 others, Luke learns the shocking truth behind their cloning research and their evil intentions. But the loss of his freedom comes with a silver lining, he falls for beautiful Gretchen, another abducted Create Life Clone. 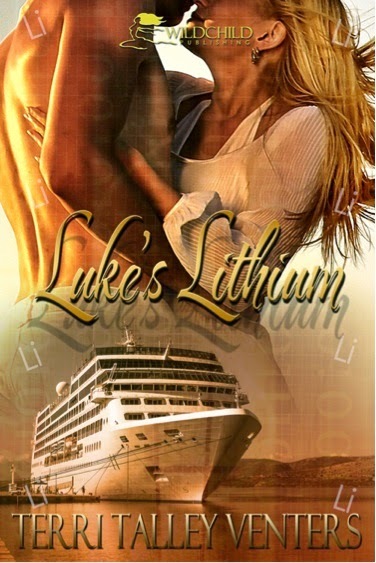 Luke’s Lithium is full of surprises, new romances, rescues and a switcheroo. But will Luke and Gretchen ever be free of Create Life? 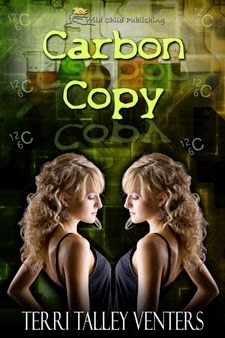 Carbon Copy is the 1st thrilling novel in the Elements of Mystery Series. The title of each novel will contain an element from the Periodic Table of Elements. Carbon Copy, Tin Roof, Silver Lining, and Copper Cauldron are available from Wild Child Publishing. 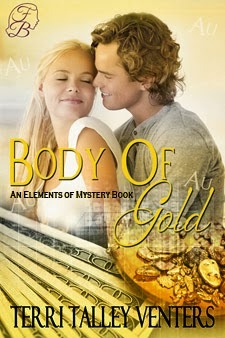 And Terri’s romantic/suspense novel, Body of Gold, is available from Freya’s Bower. Luke’s Lithium & Sulfur Springs—The Fountain of Youth are coming soon from Wild Child Publishing. 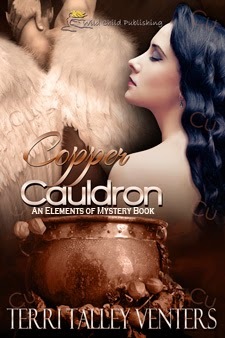 Terri recently finished writing Cobalt Cauldron and Europium Gem Mine and is currently writing Calcium Cauldron. For more about Terri’s upcoming releases, including purchase links and social media links, please visit her website http://www.elementsofmystery.com/ Terri is the daughter of Leslie S. Talley, author of Make Old Bones and Bred In The Bone which are also available from Wild Child Publishing. Thank you so much for hosting me! The post looks fantastic!